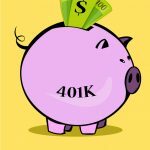 Are Self Directed 401k Plans Right for You? You might have heard the phrase self directed 401k plans and you wonder exactly what it means. 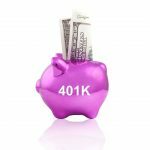 You probably already know what a 401k plan is since they are a popular type of retirement account that many large companies offer their employees. If you’ve ever worked for one of those companies, you probably contributed to a 401k plan. However, a self-directed 401k plan is slightly different than the traditional 401k plan that you are familiar with. The rules that govern a self-directed 401k plan are exactly the same as those that apply to any other 401k plan. You have the same contribution limits and the same withdrawal requirements. You can still take out a loan if you need to and the funds are still taken out of your pay on a pre-tax basis. However, self directed 401k plans allow you to choose exactly how you want your savings invested. 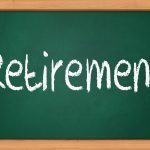 You are not limited to stocks, CDs, bonds, and mutual funds, which is how traditional 401k plans are typically arranged. While plan participants are usually allowed some choice at times, they still have to choose their investments from a finite number of products offered by the investment company. If you are a conservative investor who is a little afraid of the stock market, a traditional 401k plan might be the best option. The trustees or managers of these plans usually choose investment choices that are on the conservative side of playing the stock market. 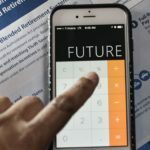 However, if you would prefer to be more aggressive in your approach to retirement savings or if you just want to control exactly where your money goes, a self-directed plan could be the right choice for you. 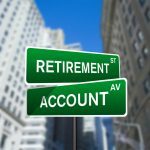 If you have a self-directed 401k account, you have access to an almost unlimited number of investment options. Not only can you choose to invest in all the traditional options mentioned above, but you can also invest in real estate, notes, tax lien certificates, precious metals, and more. 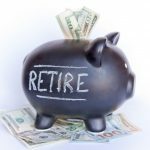 With all the options you have at your disposal, you are more likely to identify funds that out-perform the conservative options of a traditional 401k, thereby increasing your retirement savings. 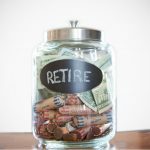 Not all companies offer self directed 401k plans because they are concerned that their employees will make significant investment mistakes that could cause their savings to plummet. They could then possibly blame the companies for not providing them the conservative safety net of a traditional 401k. 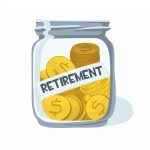 Some employers will only allow workers to self-direct a set percentage or monetary amount of their plans to limit their exposure to risky investments. If your company does not currently offer a self-directed option, you can talk to your human resources department about amending the plan. It is an easy addition and can be done at any time during the year. 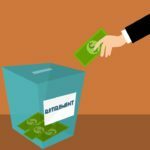 When investing in a self-directed retirement plan, you have to play by the IRS rules or you can be subjected to hefty penalties and fees. 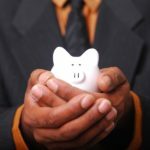 For instance, just as with a traditional 401k plan, you will have the same contribution limits with a self-directed plan. 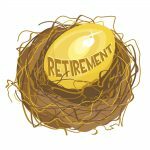 This cap can change from year to year, but for 2014, the contribution limit for a 401k plan is $17,500 with a catch up limit of $5,500 per year if you are 50 years old or older. You will also want to know the withdrawal rules associated with a self-directed account so that you do not incur a penalty for early withdrawal. In general, you cannot make withdrawals before you are 59 ½ years old. If you do need to make a withdrawal, you will pay a 10 percent penalty in addition to the income taxes applicable to the amount you take out. You can take a loan out on your 401k plan without paying taxes, but you will be paying yourself back with interest over a set time period. 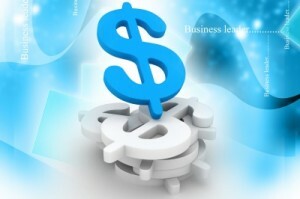 If you default on your loan, you will need to pay taxes and the early-withdrawal penalty. Make sure you only purchase assets that are not being sold by family members or anyone who has a fiduciary interest in your retirement account. This causes a conflict of interest and will result in penalties from the IRS. You will also have to pay transaction fees and administrative fees whenever you make an investment, so be sure to research the various fees your company is charging so that you can weigh the costs of the transaction with the potential rewards. Finally, understand that you are taking bigger risks with your money when you invest in self-directed 401k plans. The odds of making a mistake are bigger because you aren’t investing in only the conservative funds that your company offers. Plus, if you do not know a lot about investing, you might make a deal that looks good on the outside, but is really rotten on the inside. Even so, most people would rather have the self-directed option than simply being told where to put their money. If your company offers this option, do your research first, but if you’re looking for a way to boost your retirement savings, this could be the best way to do it.